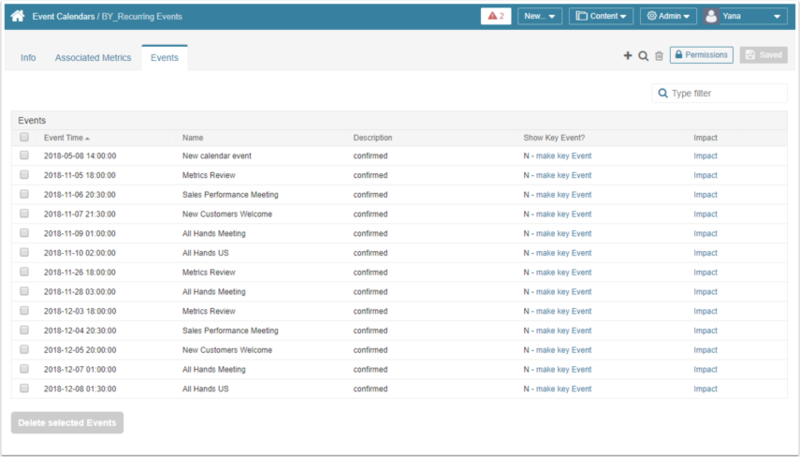 An Event Calendar can be populated automatically based on entries sourced from a Google Calendar. 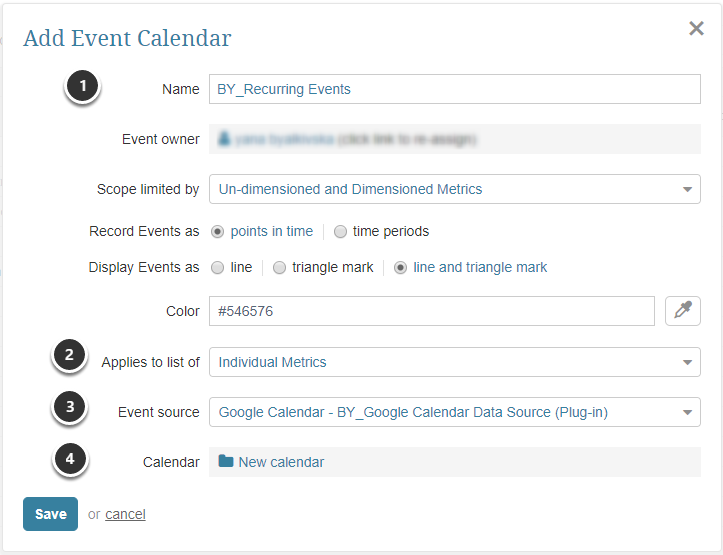 With this capability a User can maintain a set of planned events in a Google Calendar (for example, promotions or seasonal sales) and have them automatically appear in Metric Insights. 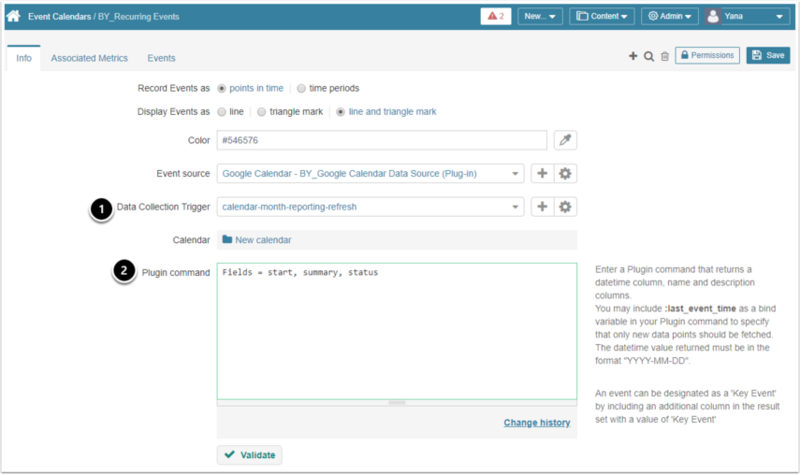 This article assumes that you have already established connectivity with Google via Google Calendar Plugin that should serve as your Event Source. 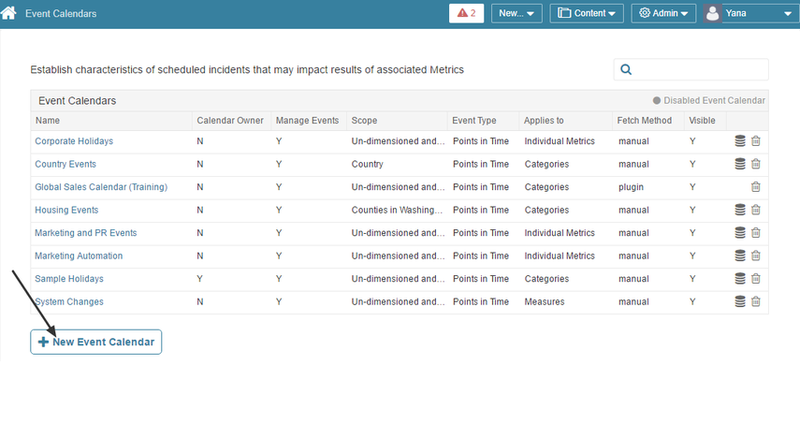 At the bottom of the page click [+ New Event Calendar]. Save your entries. You will be redirected to the Event Editor.